2007 Komatsu PC138 US1 C-2 Excavator with a Meter reading of 7718. 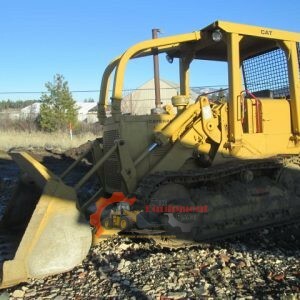 Has a Komatsu SAA4D95LC-7 97 HP Engine, A Large Thumb, a dig Bucket, and a Clean out Bucket. U/C is at 60-70%. Max Reach is 28’, Max Depth is 17’ and the Tail swing is 4’ 10”. This unit has lots of power and strong hydraulics. Runs and operates as it should. Approx. 1200 Gallons, Truck runs the meter and pumps the fuel All in working condition. This 2010 Ditch Witch, model FX60 300-gallon Vacuum Trailer. Low hour machine with only 908 hours, and a Hydro Cummins Vac. Tires at approximately 60%, This machine has no issues and is in great running order! Peterbilt Hood. In pretty good condition. Straight grill. Measures 60″ from the front of the hood to the back, on top. 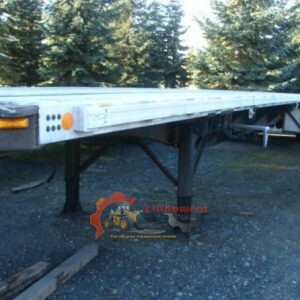 1995 Utility 48 X 96 Flatbed Trailer. This is a reconditioned Trailer. It comes with New Landing Gear, New Brakes “ COMPLETE”, New Electrical Box, Newer Tires 90%, New Air Tank, New Leveling Valve, New Splitter Valve, New Air Cans (all but one), New Air Bags, All New Lights and Mounts, New Axle Seals and Mud Flaps. The Weight Scale is extremely accurate and has been set a 400 LBS under limit so there are NO over the limit Tickets! The GVWR on this unit is 73,000 LBS with a Load Capacity of 63,000 LBS. All the work boxes have new locks and the trailer was inspected 6 months ago. 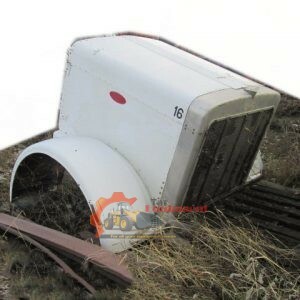 This trailer is in Excellent Condition and ready to work. Isuzu motor, under 10k hrs on machine, U/C @ 60%, runs and operates good. Needs glass for cab, has some leaky cylinders, bucket is worn through in spots. Comes with manuals. Year is estimated. 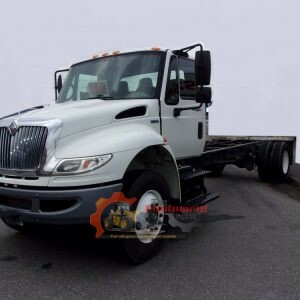 2007 International Model 4400 SBA 4X2 Day Cab Truck with long Frame. Meter reads 502233 Miles. DT466 Engine, 5 Speed Automatic Allison Transmission. The Frame is 23 ft from the back of the Cab. New Tires, New Brakes and New Front Rims. New Exhaust System and Drive Line and Burns NO Oil! Good Solid Truck. 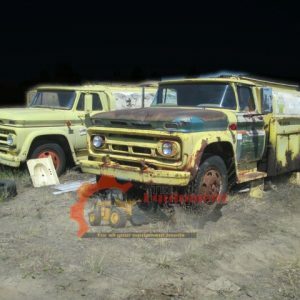 There has been more work completed on the truck not listed here. Please call for more details. 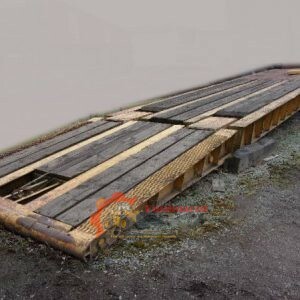 1965 Hyster RF 40 TL3-1 Low Boy Trailer. Well is 31’ in length and 102” wide. Upper deck is 9’ long. The Deck is new, and is 36″ high from ground. 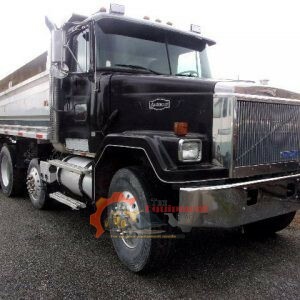 3 Axle Trailer, Load Capacity is 45,000 LBS .The Tires are in decent condition, though one needs replaced. The Brakes are in good condition. The Frame is Solid and the operation is a Basic Mechanical Manual System.